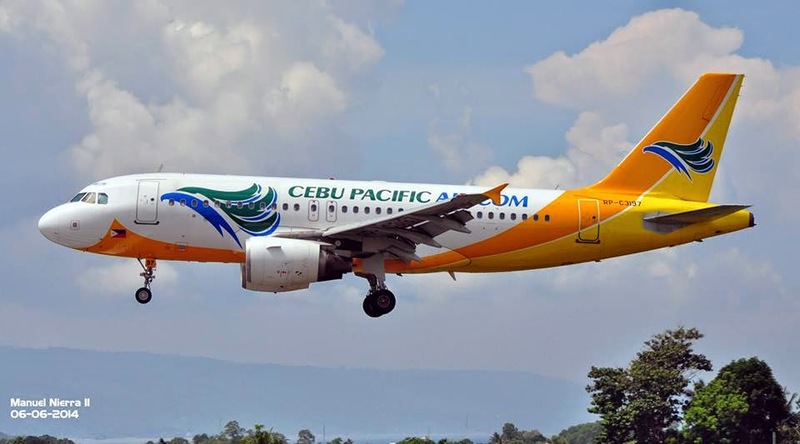 Aviation Updates Philippines - The Philippines' leading budget carrier, Cebu Pacific Air, said that it's net profit jumped by 124.7 percent in the second quarter of 2014. This was because of the higher passenger, cargo revenue and a strong peso value. New international and domestic routes were launched such as flights to Tandag, Kuwait and Sydney. In a disclosure to the Philippine Stock Exchange (PSE), Cebu Pacific said that its net profit surged to P3.18 billion from January to June, compared to P1.414 billion in the same time last year. In the second quarter itself, Cebu Pacific's net income jumped to P3.01 billion from P257.34 million in the previous year. According to the Centre for Aviation, Cebu Pacific has benefited from the consolidation in the Philippines' Domestic market. This leads other carriers to cut frequencies to several destinations which results in double digit improvements to yields and the return of rationality in a market which had suffered from an extended period of unsustainable fare wars. Meanwhile, the airline's revenue grew by 23 percent to P26.72 billion in the first half of 2014, compared to P21.73 billion in the same time last year. In the second quarter itself, top line rose to P14.95 billion compared to P11.18 billion last year. Passenger revenues also increased compared to last year. In 2014's first six months, passenger revenues increased by 22.8 percent to P20.87 billion from P16.98 billion last year. The increase was because of the 13.8 percent increase in passenger volume to 8.5 million from 7.5 million last year. Cargo revenues also increased by 17.3 percent to P1.437 billion for the six months from P1.226 billion last year. Flights also went up by 4.4 percent due to the increase in the number of aircraft from 44 in June last year to 52 aircraft this year. Cebu Pacific's fleet includes a fleet of Airbus A319s, Airbus A320s, Airbus A330s, and ATR 72-500s which are currently being used in regional flights. Operating expenses also went up by 25.8 percent to P23.76 billion for the six months, compared to P18.89 billion in the same time last year. Expenses increased by 23 percent to P13.097 billion this year from P10.65 billion in 2013. Meanwhile, fuel expenses also grew by 23.9 percent to P11.669 billion from P9.422 billion last year.